Right, before I get in to the thick of this article, there is something I need to get off my chest. Many of you will think what you’re about to read is sacrilege, but here it is – I think Bullitt is overrated. And…..let the hate pour in. The actual car chase is brilliant and if you ask me, it’s the only reason for watching the film – the rest is simply pedestrian in my opinion. 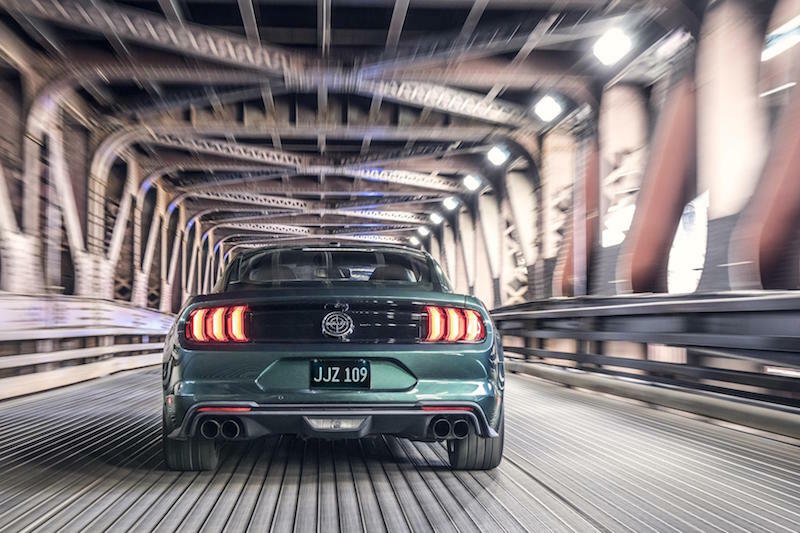 However, whether you agree with me or not, one thing that is certain is that the American giant has unveiled a tribute to the famous Dark Highland Green hero 68 GT Fastback used in the movie. In fact there were two identical cars used for the film – one was hero vehicle driven by the legendary Steve McQueen, and the other was used for the jump scenes. Looking back, it seems crazy that the production team had just two cars to work with when you compare to modern films that almost have a fleet of cars to work with. For example, I heard on good authority that no less than eight Aston Martin DB10s were supplied for the James Bond film Spectre. But I suppose Hollywood has much bigger budgets nowadays, and I realise I’m starting to digress somewhat. 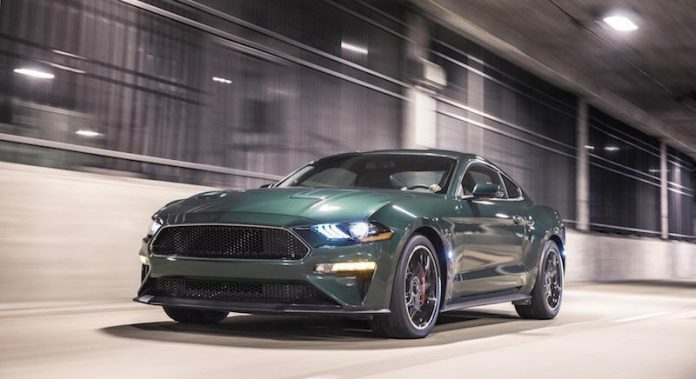 Anyway, back to the new Mustang Bullitt. As you would expect, it’s fitted with V8, only this one has been fettled, meaning it now delivers 474bhp with 569Nm of torque. 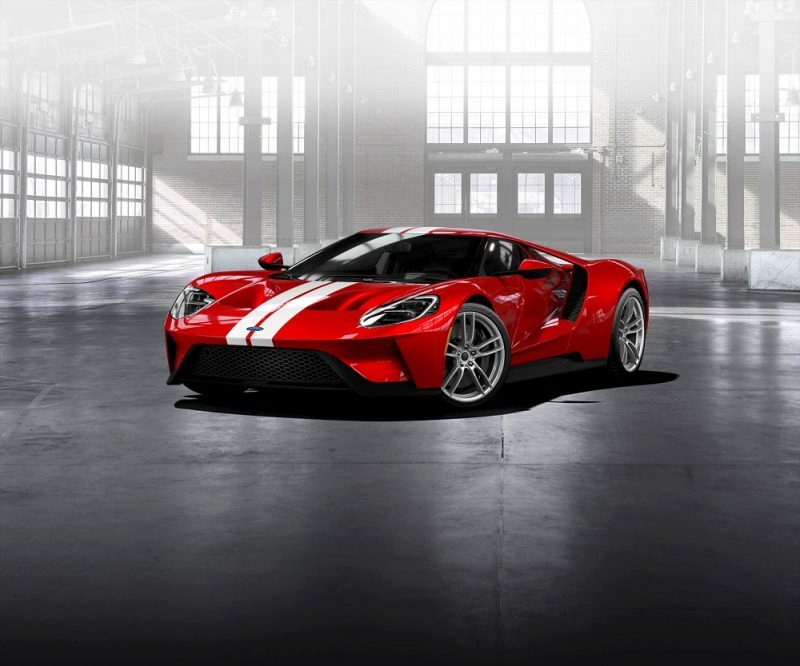 This means it will hit a top speed of 163mph, but sadly it’s only available for the U.S. market. 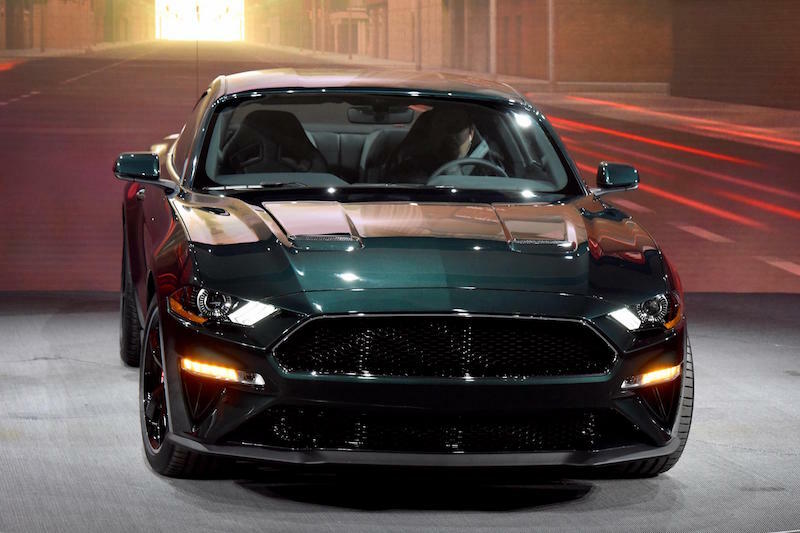 The car also features a white cue ball gearknob, which is a nod to the original, plus the exhaust has been retuned to give a “signature sound” according to Ford. Available to order in the summer, the Mustang Bullitt will be available in either Shadow Black or Highland Dark Green, although the black almost seems like a pointless option if you ask me. 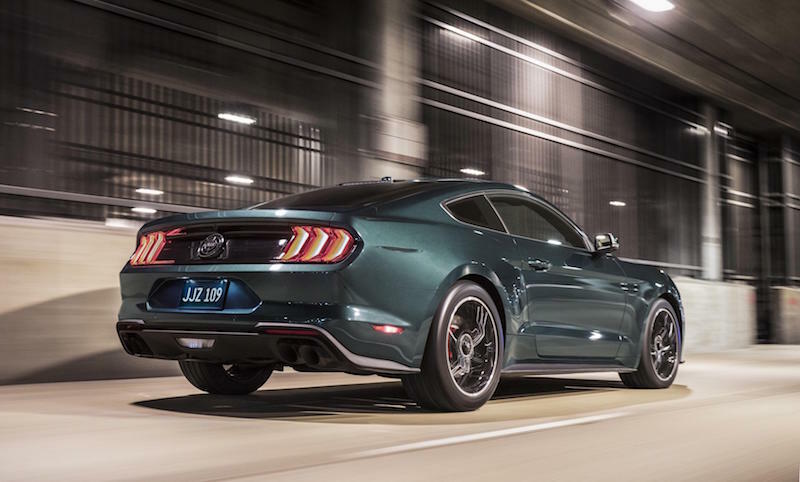 As well as the special paint, the exterior features subtle chrome accents around the grille and front windows, and classic torque thrust 19-inch aluminium wheels. Inside and out, the vehicle uses minimal badging; only the circular faux fuel-filler cap Bullitt™ logo on the rear centre is visible on the exterior. Whatever Happened To The Original? Like Shurgar and Lord Lucan, no-one seemed to know what ever happened to the original hero car and indeed the ‘Jumper’ car. The latter was sent to a salvage yard and resurfaced in California last year, but that still left the hero vehicle. It turns out that it was sold to one Robert Kiernan in 1974 by Warner Bros. and it was then passed on to this son Sean in 2014 following his passing. 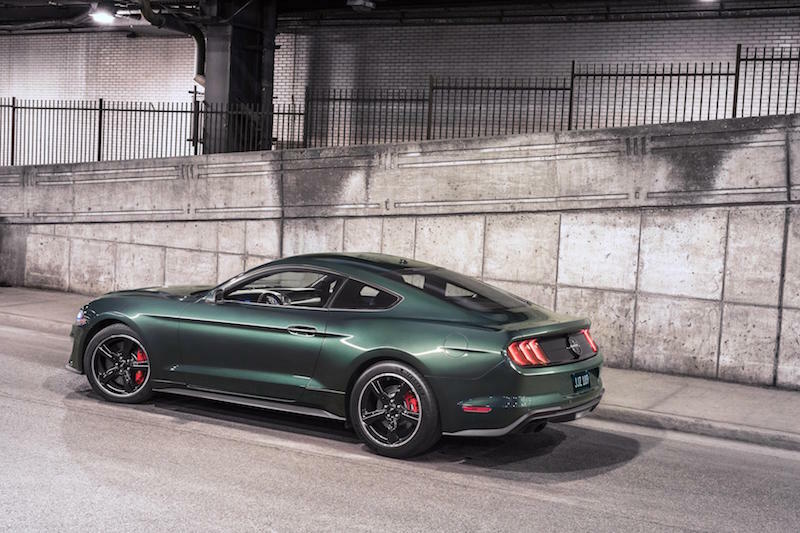 To fulfil his family’s lifelong dream, Sean contacted Ford and the two parties worked together to reveal his movie star car alongside the all-new Mustang Bullitt™ at the 2018 North American International Auto Show. 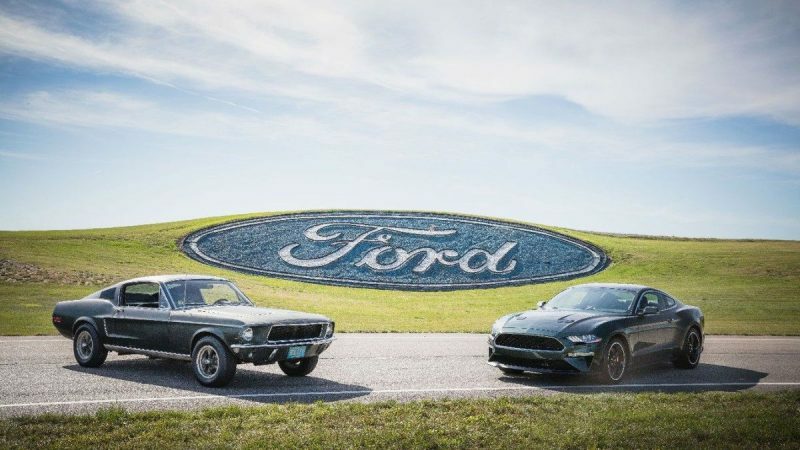 It must have been quite a moment for the Kiernan family when they saw the old and new Mustang Bullitt on the same stage together. Whoever said cars were just a bunch of metal and bolts?